Super cute and clean house at a dead-street , very tranquil area. 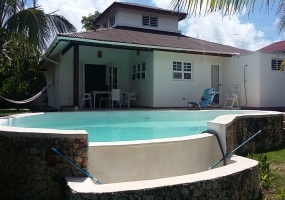 close to La Entrada Beach and many other natural wonders such as lakes and waterfalls.This house has 2 bedrooms and 2 bathrooms and a cool outside shower.It comes fully furnished with everything in perfect working conditions. Perfect house for a family, 3 bedrooms and 2 bathrooms , nice yard with a decent size pool .The location is also very interesting since you can walk a few meters to the ocean cliff and watch the whales go by (dec-may) or just relax with a drink. 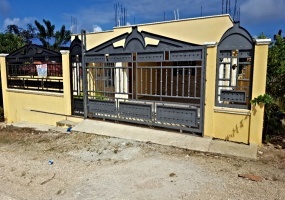 This property includes a spacious 3 bedrooms 2 bathrooms on the bottom and a 2 bedroom 1 bathroom apartment on top. 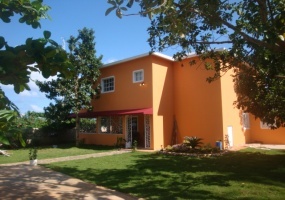 (180mts of construction)Located in a peaceful and tranquil part of Cabrera close to the biggest supermarket in town The property has a nice yard full of fruit trees and a nice back view to the green mountains. 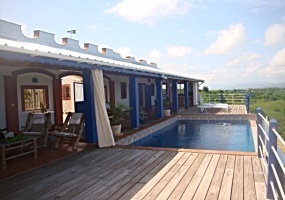 This house is perfect for weekends or vacation rental, located only 3 minutes from the center of Cabrera and 5 minutes to many different beaches.There is also a natural swimming pool with waterfalls walking distance. 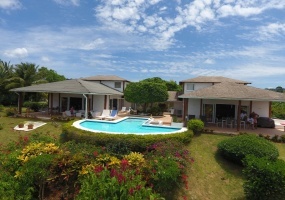 Modern home with spacious rooms located only 5 minutes from the center of town.The ocean view is just spectacular , there is a big balcony where you can spend your afternoons watching the vast view and enjoy the cool mountain breeze. 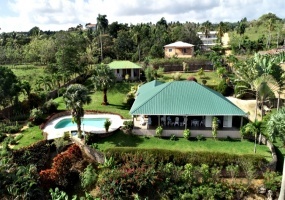 Cute house in the green hills of La Catalina.Features:3 bedrooms 2 bathroomsswimming poolBBQfencedbottom and top floor fully independent 2 kitchens10 minutes from the center of Cabrera15 beaches in less than 10-15 minutesHouse doesn't come with furniture.